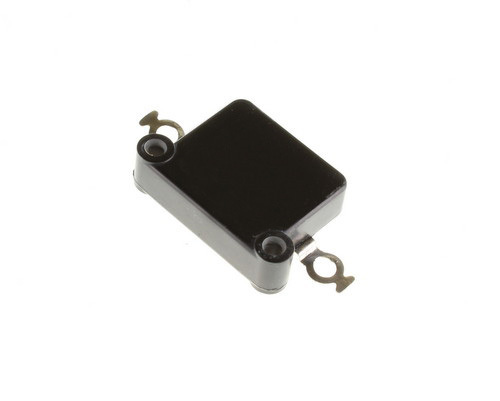 CM50BG682J03 Sangamo Low Power Molded Mica Capacitor. Transmitting Type. Solder Lug Terminals with Insulated Mounting Holes. 0.0068uF 1200Vdc Working Voltage. Operating Temperature Range -55C to +85C. CM50 style. CDE type 4D equivalent. Excellent for Power Amplifiers Low Power Transmitters and Laboratory Equipment Applications. Made In USA.